Tasting review: Color: amber and cheerful. Nose: great finesse, tender, white fruits, pear, white flowers, white rose. Palate: sweet, balanced, fluid, elegant, fresh, summer notes. S.O.B. stands for Selection Olivier Blanc, the world respected Cognac and spirit expert who decided to showcase the new generation of amateur Cognac producers that've sprung up in recent years. Indeed, in a world that's domintated by large corporations and great leaders, this 'brand' is the complete antithesis to this - bringing attention to the smaller, artisan producers who support the land and take us back to a time when we shared a closer human bond with those who embrace tradition and the human touch. About Olivier Blanc and the passion behind S.O.B. Blanc was the co-rounder of Leopold Gourmel Cognac back in 1972, at which time it was a completely new brand with a burning ambition to offer the world a 'natural' Cognac. In other words, no mass production, and with all aspects of the production process carried out in-house. He was the ideal person to come up with such a concept, having travelled the world on both a personal and professional basis (thanks to a father in the diplomatic service who worked globally). He discovered Cognac in the latter half of the 20th century, and became a true ambassador for the product, both in France and around the world. 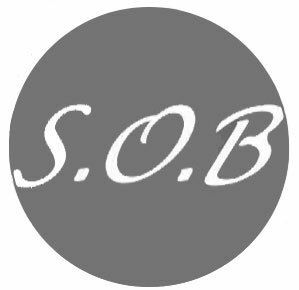 His passion for all things traditional and all things Cognac has led to the creation of the brand now known as S.O.B.